Agency finds Oregon Environmental LLC committed more than 100 safety and other violations; company loses license to practice in field here. 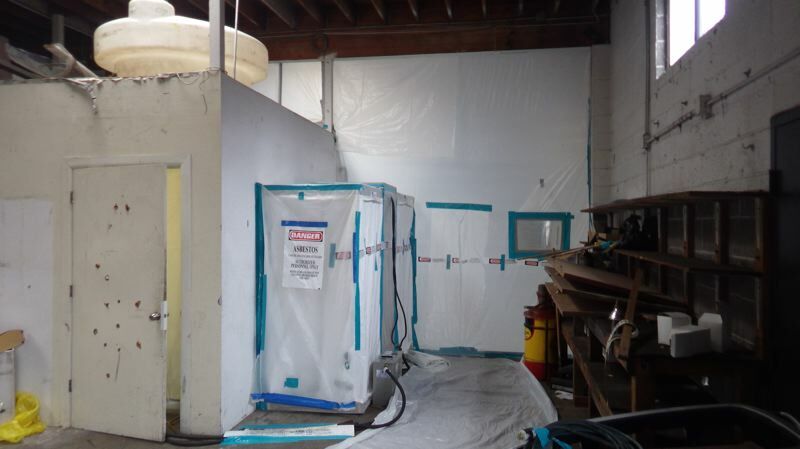 After a yearlong investigation, the Oregon Department of Environmental Quality fined asbestos abatement contractor Oregon Environmental LLC $436,804 for widespread violations. DEQ also revoked the company's license to do asbestos abatements. The company, which appears to be based in Cornelius, has been licensed to do such work in Oregon since 2014. Asbestos can release tiny fibers into the atmosphere that causes lung cancer and other illnesses. There is no known safe level of exposure, so removal at demolition and construction sites must take place in enclosed conditions to limit exposure to the public. • Failure to submit required notifications to DEQ for at least 110 projects. That makes it impossible for the environmental regulator to ensure a contractor is protecting public health when handling asbestos. • Failure to conduct air clearance sampling or submit results of that sampling for at least 32 abatement projects. Without such sampling, the DEQ can't confirm that airborne filters from asbestos don't exceed the legal limit. • Failure to dispose of asbestos removed during at least 100 projects to an authorized disposal site. • Submitting false or inaccurate documentation to DEQ in its last two asbestos license renewal applications. Oregon Environmental has until July 23 to appeal the violations.